Carpenters Cottage01263 715779work01603 870304fax Self-cateringLess than five minutes’ walk from the long sandy beaches, within this popular seaside town is Carpenters Cottage; a newly modernised former fisherman’s cottage boasting all ‘mod-cons’. Beds: 2 King-size, 1 Twin. Other: Towels. High chair and stair gate available on request. Books and games provided, Wii. DAB radio. Outdoors: Enclosed courtyard garden, garden furniture. 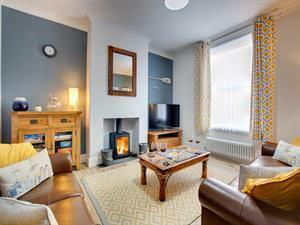 Less than five minutes’ walk from the long sandy beaches, within this popular seaside town is Carpenters Cottage; a newly modernised former fisherman’s cottage boasting all ‘mod-cons’.